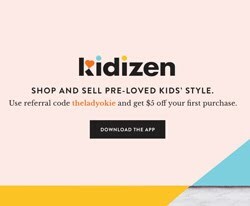 The Lady Okie: Scenes from the Bahamas! 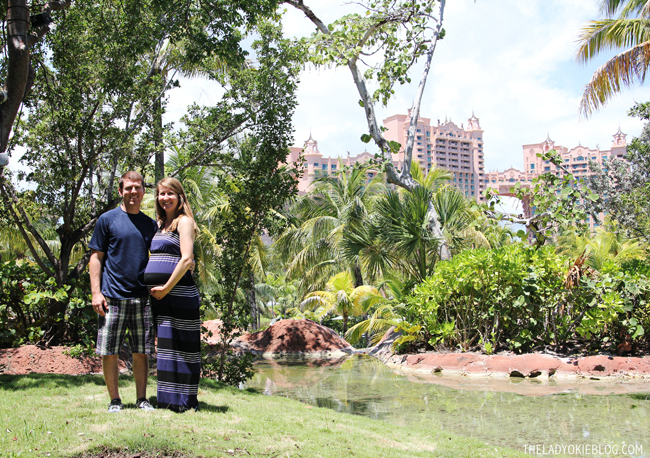 The first weekend of June, Jordan and I spent two days and three nights at the Atlantis hotel in the Bahamas. This is most definitely not the kind of vacation we would typically go on, but I was actually going for work, and my boss offered employees the opportunity to take plus ones, provided we paid for the plane ticket and food ourselves. But my food, flight, and hotel were paid for, so we figured we might as well make it a babymoon/anniversary/birthday celebration since we will likely never be able to afford to stay at Atlantis if we were paying for it all ourselves. You might be wondering what on earth kind of work takes their employees to the Bahamas, and while I really just don't feel comfortable discussing the specifics of my job, I will say that I work for a company that puts on events in different locations around the world, and so this was in essence a site visit and staff planning retreat. I was in meetings both days we were there, but I was really pleased to find that we did have a fair amount of free time to wander about on our own and hit the beach. 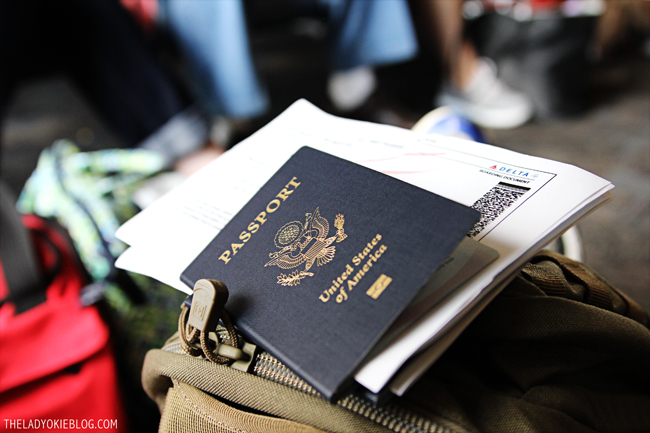 Thankfully, we had already gotten passports last year in preparation for our missions trip to Nicaragua, so that was one less thing we needed to worry about. I was really excited to get to use it this year, since I obviously won't be going back this summer to Nicaragua. 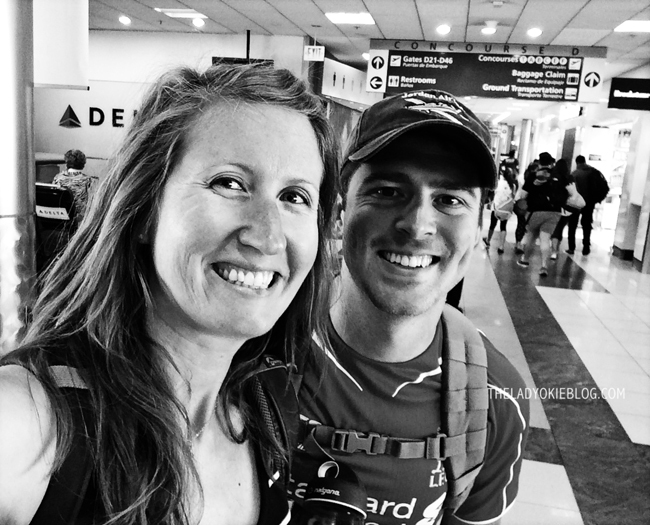 We left Saturday at noon, had a few-hour layover in Atlanta, and landed in the Bahamas around 8:00 that night. After checking into the room, Jordan changed clothes and indulged in some ESPN (we don't have cable, so any time we stay in a hotel he gets excited about all the extra channels) while I headed out to a work reception. We both decided our favorite thing about the Caribbean is how colorful everything is, starting with the water. This picture is completely unedited! Aren't those colors amazing? This picture was taken with my camera's self-timer. This was the view from our porch! 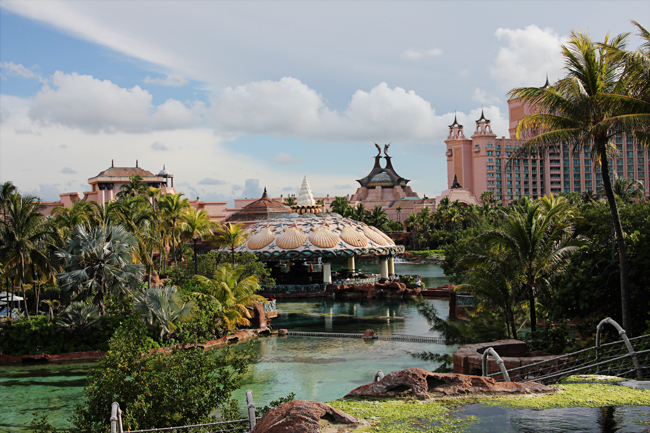 Atlantis is actually a resort complex with four hotels. The iconic "bridge" hotel is what you see in the background. That's the super fancy hotel. 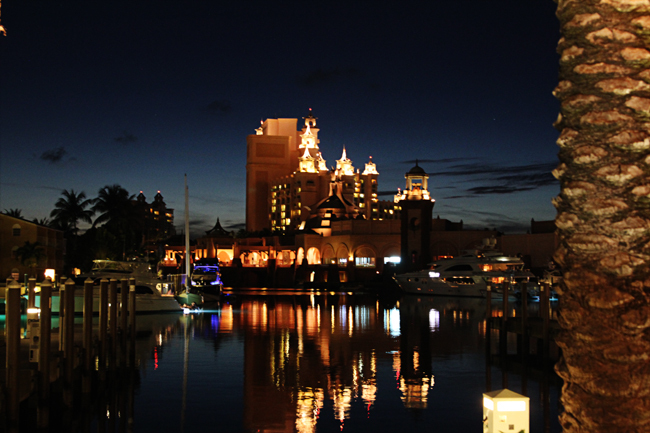 Atlantis is almost indescribable. I just keep telling everyone that it seemed very surreal to be walking around, almost like it wasn't real life. Everything is colorful, the water is so blue, and there are fish everywhere. 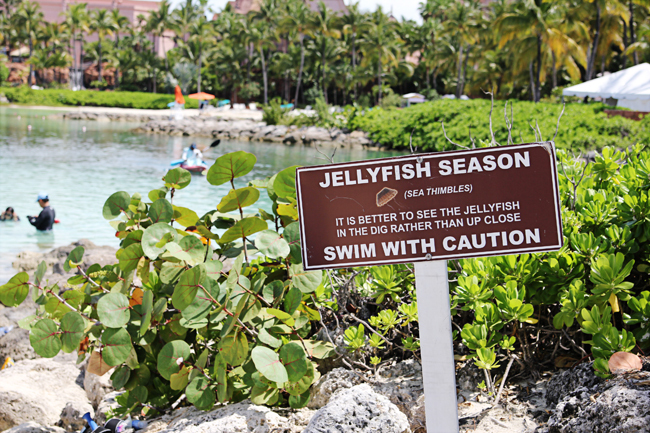 And not just fish fish like we think--sharks and stingrays and jellyfish and giant fish I'd never heard of before. You could walk underneath Atlantis and see aquariums or walk above. People were in the tanks with scuba gear on walking with the sharks, children were petting baby sharks, people were drinking cocktails and carrying inner tubes and going down slides. We really didn't spend too much time on the actual beach. It was kind of a downer that I was 30 weeks pregnant, because walking on the beach took it out of me quick. Don't let these pictures of our smiling faces fool you... it. was. hot. Also, I wasn't too impressed with the sand on the beach. Maybe it was just the part we walked on, but we both found it pretty rough. There were lots of tiny shells and some rocks, and I've definitely walked on softer sand (I'm talking to you, Hawaii!). Still, you just can't complain about the color of that water. And I haven't been to the beach in so long! I love the sound of it. ^^^ GIANT FISH! Seriously, what on earth? This was in one of the underground tunnel aquariums. It was nice to escape the heat and go underground for bit. It smelled fishy (literally), but it was nice and cool down there. ^^^On the last night, we walked down to the marina and ate dinner at a seafood restaurant. I used Jordan's head as a tripod to take this shot. People were staring. 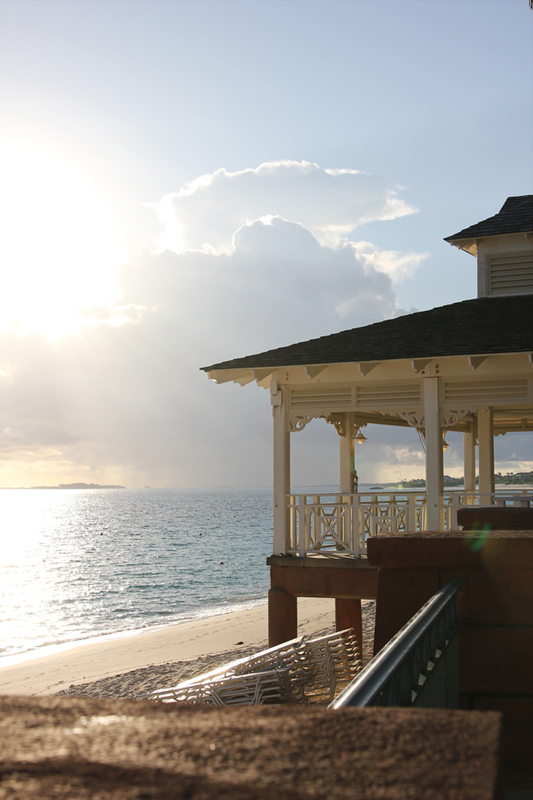 On Tuesday, our last morning in the Bahamas, I got up early to watch the sunrise. There were a few people out running along the sidewalk next to the beach, and I totally wished I could have done that, but it was really nice to just watch the sun rise over the ocean. There's just something so calming about listening to the waves on the beach. I definitely think being 30 weeks pregnant (and therefore not being able to do any of the slides and things) and having The Episode occur clouded our overall impression of the trip, but Atlantis is certainly was an experience all of its own, and all in all, we were very excited to have the chance to spend a few days in the Bahamas together. ***See part 2 from the Bahamas here. There's a video I put together of some scenes from our trip! Have you ever been to the Bahamas? What did you think? Is this somewhere you would like to go? I love the underground tunnel! Glad you were able to get away for a vacation! Never been to the Bahamas, but my favorite beach is the Gulf side of Florida. Such soft and pretty white sand! It looks really nice and i had no idea either that is how it was divided up! We went to the Bahamas several years ago. 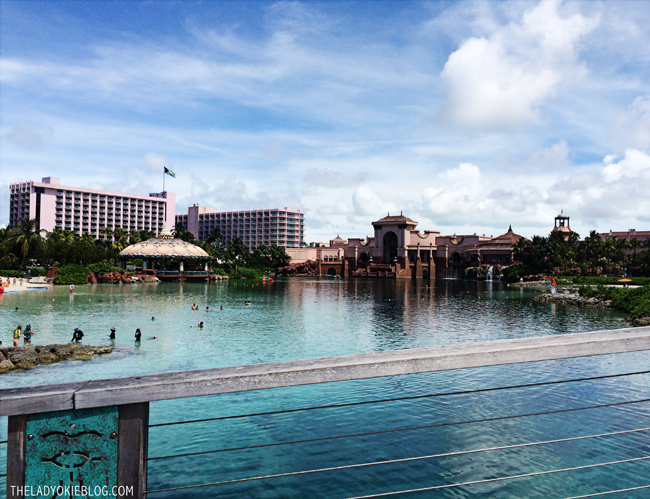 We definitely couldn't afford to stay at Atlantis but we did go visit there one day, and it looked amazing! How fun that you got to experience it. I love when you can leverage a work trip to get a bit of a vacation out of it, too. Excited to hear what you thought about downtown Nassau - we stayed closer to that part, but not sure how much it's changed over the years. I've never been to the Bahamas! My parents went once as part of a cruise when I was 5 or 6, but I'm sure it was much different back then. No Atlantis then! Growing up in Florida, going somewhere tropical like this was never really at the top of my to-do list. However, now that we live in MN, I am dying to visit a sandy beach! We're thinking of going to Puerto Rico for our 10th Anniversary...4 years from now. Or at some point. I gamble like you gamble. Woo, this is fun! Wait, what? I just threw away $2? Ok, I'm done. I was like YAY I PULLED THE LEVER. Wait. Where did my $2 go? My siblings and I are trying to convince my parents we should go this winter. We're all old enough to pay our own way and there aren't yet any grandbabies. The only issue that we're running into is finding an appropriate resort. 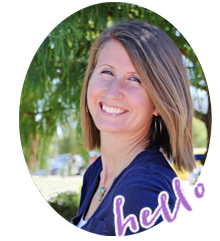 We're way beyond "family-friendly" but not all of us are coupled off and most places seem to not want odd numbers. Also, LOL at "sea thimbles". That's a really cute term. These pictures are stunning and now I'm jonesing for a beach vacation. It's been ages since I've been to the ocean and I think I'm overdue. Also, I love that you used his head as a tripod. Desperate times call for desperate measures. I've never been but it's always been on my (long) list. Your photos are absolutely gorgeous! Oh, and no gambling for me- once I'm out of 10 bucks I am done lol. What an awesome work trip! We went to Atlantis on our honeymoon, and it was one of the most beautiful places I have ever seen. Like you said, we thought it kind of didn't feel like real life because it was just so perfect. 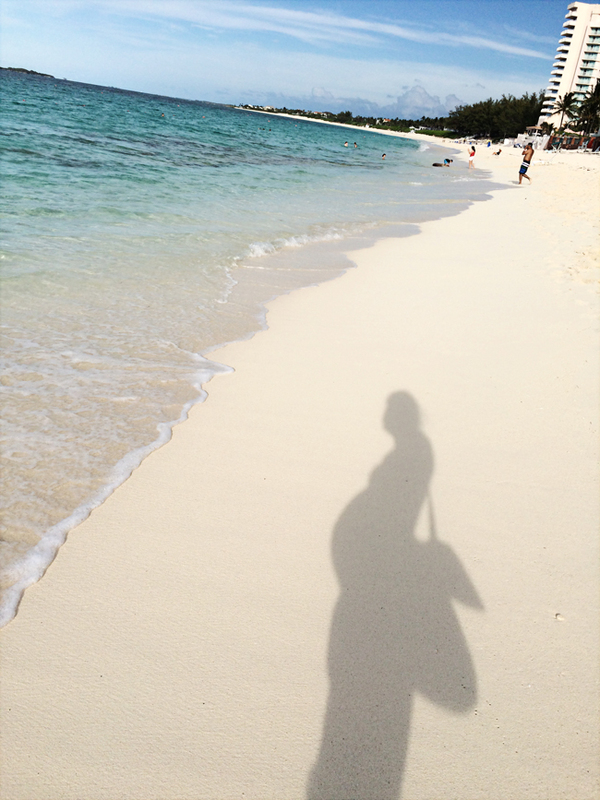 I love that picture of your bump shadow in the sand! Been there, done that on the gambling. $2 to sit there and look like a zombie for 30 seconds? Not my favorite way to spend time. But! It's something worth trying. Atlantis looks beautiful! That unedited photo from the plane - amazing. Such beautiful colors! Wow! What beautiful pictures! I've never been to the Bahamas, but I went to the beach when I was 30 weeks as well (NJ in July last summer) with extended family and boy did that get the best of me. I was a bear most of the time! 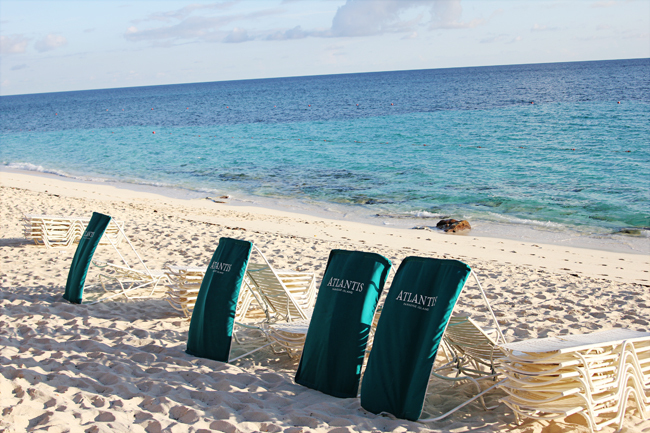 Atlantis should hook you up with a redo! I'm so glad you guys got to go! I hate that the trip got a little bit clouded by the scary contractions and not being able to do a lot of the fun stuff because I love the Bahamas so I want everyone else to love it too, haha! It's kind of like how we love to go on cruises and Christopher's brother went on one and it stormed the whole time (so their boat was really rocky and he and his wife both got motion sick). It made us so sad to hear that they didn't enjoy their cruise because we loved ours and want everyone to have an experience like that! But! I am glad that you had good moments too (despite the heat). Those underwater tunnels look so cool! And I think it's just so amazing that your work covered this for you! Also, it's interesting how you describe the sand. That's how it was in Cozumel when we were there a couple of years ago. But the part of the Bahamas that we went to last year was a lot more like regular sand. I wonder if that's natural or if they imported that. Or maybe just some parts are more sandy than others. What a great (work) trip! The colours really are amazing. I wish someone had taken a picture of you using Jordan's head as a tripod though. 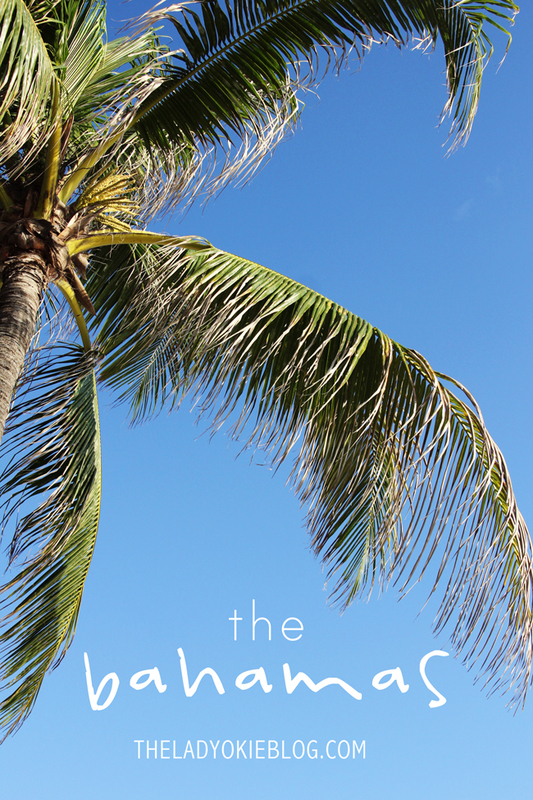 The Bahamas have always been on my 'to-visit' list and your beautiful photos just made me want to go even more so! My parents did a cruise a couple years ago that included a stop at Atlantic and my mom said there was a lazy river she did about 10x! LOL! 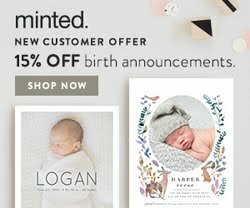 I love that you went on a babymoon (which still cracks me up that that's a thing). Despite The Incident, I hope you look back at these pictures and appreciate how freaking beautiful that is! Does your job have any locations in SC??? Haha! I can't get over how pretty the water is. I'm glad y'all got to enjoy most of your trip! Is it cool or sad that when I read "atlantis" my first thought is the mary kate and ashley movie holiday in the sun? Haha. I went on a cruise in high school and the cruise line had its own part of the bahamas for us to hang out on for day so that's about all I saw. I did love all the colors - I wish the area around my office looked like that! I haven't been but it looks gorgeous! 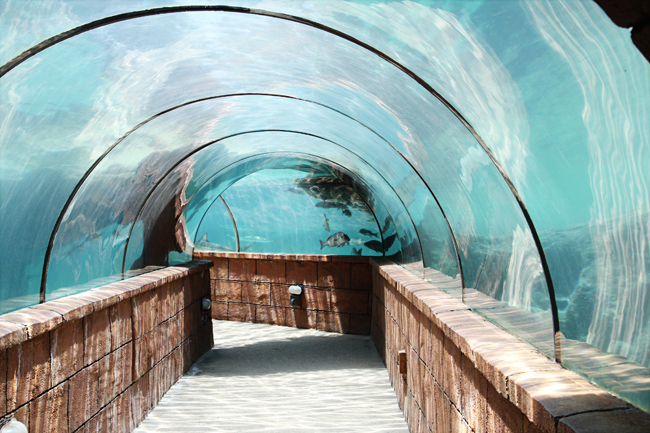 Love the underwater walkways. That porch too look amazing, perfect for sunrises and sunsets. 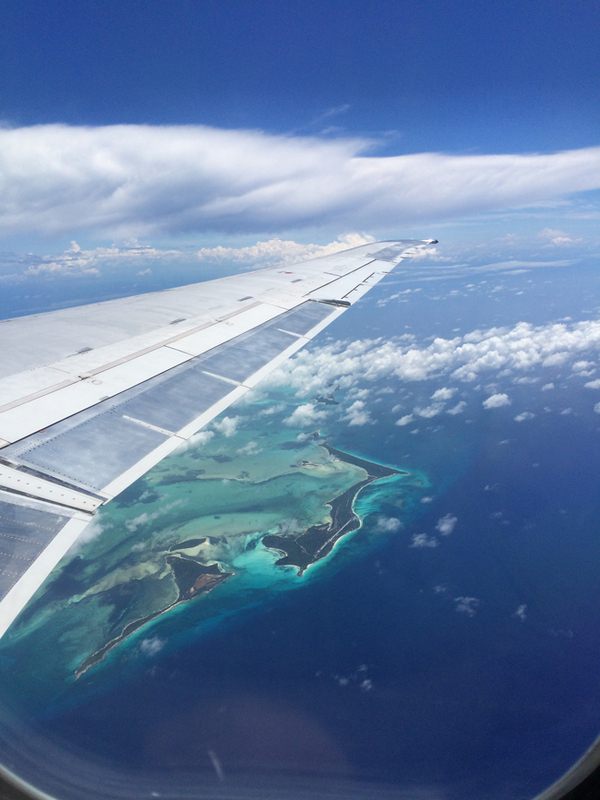 Love, love, love the Bahamas, but the non-crowded parts. 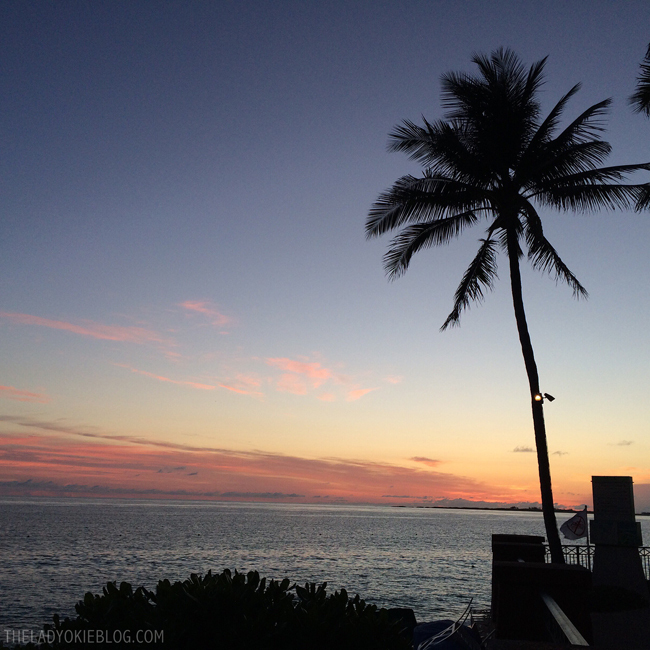 We sailed around the islands for a week one summer, stopping at different places each day. Ah-mazing! We did all kinds of cool snorkeling and hiking trips. Even found cast off pirate stuff. 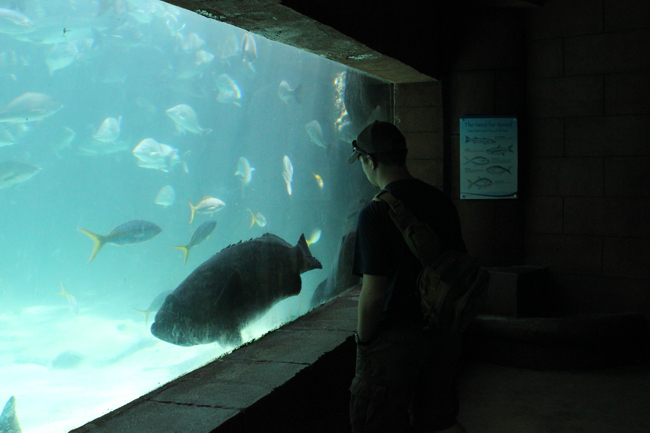 That big 'ol grouper in your aquarium pic is awesome! Love scuba diving with them...so friendly! So fun! And you are adorable - I love the shadow pic of you on the sand. Sounds like a great trip! Absolutely beautiful photos, and I love that underwater tunnel! 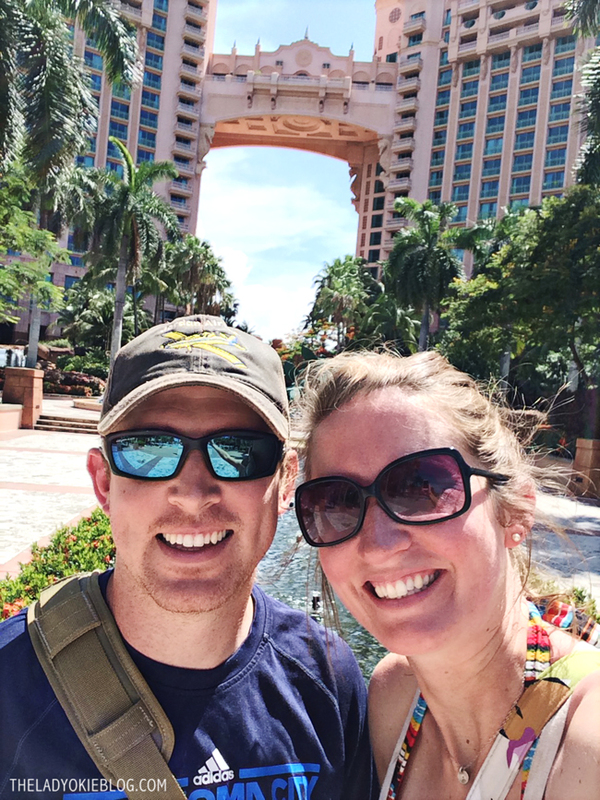 We passed by Atlantis on our way out to dive during our honeymoon cruise and have always talked about trying to get out there for a visit - glad to see it looks as amazing as we imagined! Oh my goodness, this makes me want to go back to our honeymoon! We've never been to the bahamas, but I definitely want to go one day. This sounds like a super fun trip (minus the episode), and I love that you used his head as a tripod. That's actually a fantastic idea. Haha. Way to take the opportunity! Pretty cool for a company to have a work thing in the Bahamas, that's for sure. My Dad's been to like 25+ countries at this point, but only about 3 or 4 by choice, all the rest are for his job. I don't think I'd want a job with much travel, but occasional trips wouldn't be horrible. :) Glad all 3 of you got home nice and safe!